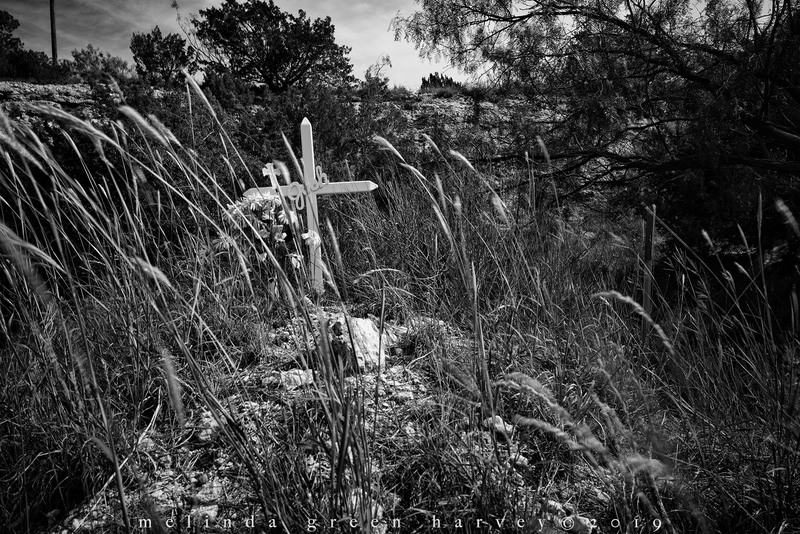 Posted on March 24, 2019, in Photography and tagged 365 photo project, black and white photography, fluvanna, fluvanna texas, learning to see, Leica, melinda green harvey, monochrome, one day one image, photo a day, photography, postaday, road trip, roadside crosses, texas, thoughtful seeing. Bookmark the permalink. 7 Comments. I understand and like this image. Thank you, Julie. There were two makers for Josh, just a few feet apart, which I suppose indicates some kind of family drama and which makes the whole thing even more sad. The whole thing was very odd. We pulled over, and I got out to photograph the cross. When I walked back to the car, the woman was standing near it and she told me the story. Then, when I got in the car, my husband said, “Where were you? That took a long time.” I said I was talking with the lady who was standing there and he said, “What lady?” Now, I know for sure she was standing in the blind spot and he didn’t see her in the rearview mirror. Or was she an apparition?